The countdown to the start of the inaugural International Spirit of Amarok Trophy has begun. The competition which will be contested by 20 teams from Australia, Botswana, Namibia and South Africa will take place on 14-18 September 2015 in Botswana. Each country will be represented by five teams, each team comprising of two people that will be showcasing their off-road driving skills in the toughest 4×4 challenge in Africa. The teams from Botswana, Namibia and South Africa were selected from the finals of the Spirit of Africa Trophy competition hosted by the motorsport legend and Amarok brand ambassador, Sarel van der Merwe. Meanwhile the Australian teams were selected from the equally challenging competition, aptly known as ‘Mud, Sweat and Gears’ in Victoria, Australia. The Australian competition was hosted by Australia’s Mr 4×4′ Pat Callinan and was sponsored by Volkswagen Australia. 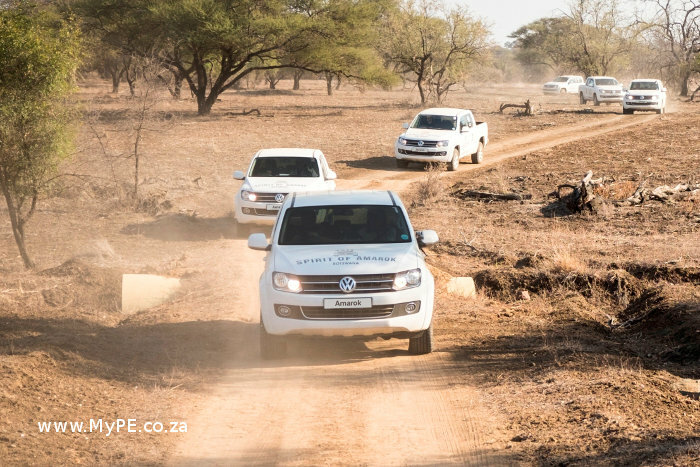 The teams will use Amarok Double Cabs to contest 30 challenges over five days. The challenges will be split into two categories, technical and speed. The speed challenge will simulate motorsport rally stages with long narrow farm style paths. The technical challenge will involve extreme off-road conditions with mud and deep sand. “A new addition to the competition includes a team strategy session after each challenge. Once a challenge has been completed, each country will get a chance to decide which team’s score or time will be submitted to their overall scoring. Each team must have an opportunity to submit its times to its country’s overall scoring. This will enhance the team spirit for the event as well as create suspense on the leaderboard, which will be kept secret until the final results are announced at the end of the competition,” added van der Merwe. The winning team will receive the Wolf Trophy and R40 000 prize money. Each member of the winning country will receive R10 000. The winning team per country will also receive R10 000.